We are extremely proud to have build long-term client relationships with numerous homegrown programs, as well as with some of the most prestigious youth volleyball organizations and events in this country. 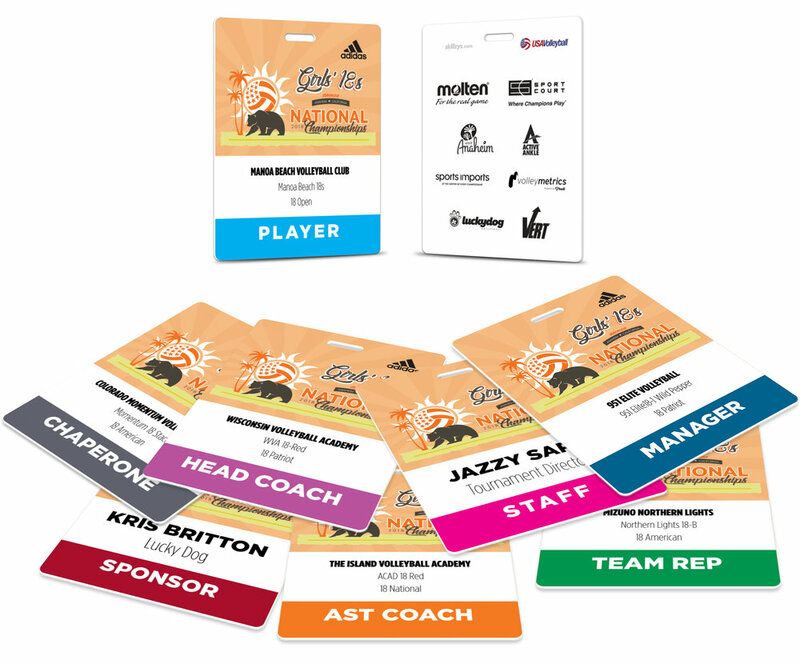 Skillzys® Event Credentials, Tournament Tags®, and ID Tags are all high-quality, professionally-designed tags at budget-friendly price-points. See some samples below and submit your artwork today for free mock-ups! Looking for something new? Skillzys® TechTags® are the hottest tag on the market today. Choose from 6 different tag effects (Flip, 3D Depth, Animation, Zoom, Morph, and Motion) and create a truly unique piece that is sure to enhance your event. 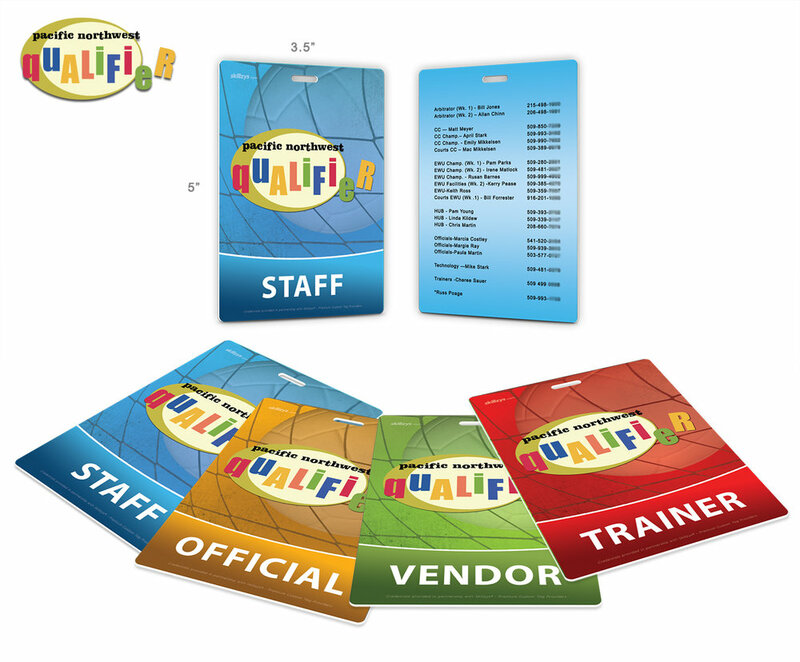 Professionally-designed keepsakes/collectibles for your tournament participants commemorating their time spent competing in your event. We have seen these tags stay on kids’ volleyball backpacks for YEARS! You submit an Excel file with your participants’ names, club names, team names, jersey numbers etc, and we’ll print this info right on the tags for you.